Tripawd Tuesday spotlights Hazel, a four-legged dog beating odds with osteosarcoma palliative care. 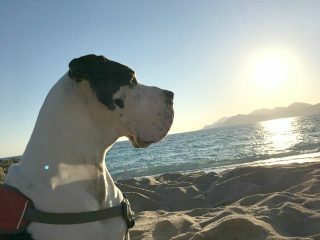 Celebrate Giant Breed Tripawd Eurydice and her travels through Europe for today’s Tripawd Tuesday pawty! Yes, even a giant breed Tripawd puppy can be hoppy! 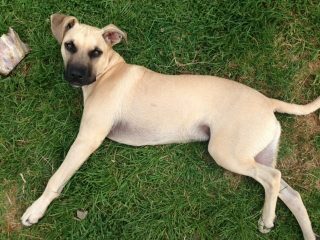 Meet Teddy the Mastiff / Ridgeback canine. 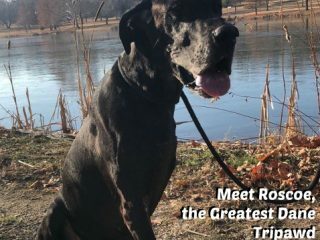 He’s our Tripawd Tuesday hero! 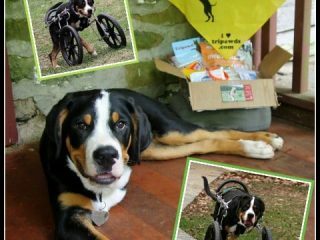 See how a Greater Swiss Mountain Dog named Trey learned to adapt and love his Tripawd wheelchair for front-leg amputees. Tripawd Tuesday: Cemil Celebrates Seven Years! 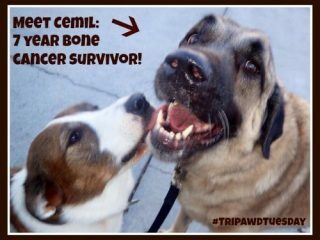 On Tripawd Tuesday join giant breed Anatolian Shepherd Cemil in celebrating seven years after his osteosarcoma diagnosis. Tripawd Tuesday celebrates second opinions and the magnificent life of French Mastiff Monbo, a three legged giant breed dog who knows how to live large! 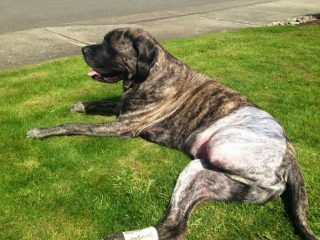 Tripawd Tuesday celebrates Chuck the Saint Bernard dog by learning about his palliative care treatment to help fight osteosarcoma. 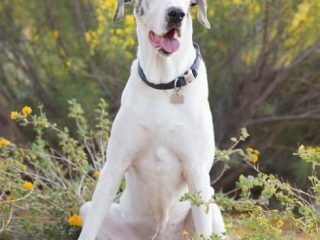 Great Dane Atlas faces amputation after a Wobblers disease and bone cancer diagnosis. Great Dane nova loses limb to osteosarcoma bone cancer then loses sight but overcomes adversity to beat the odds.